HomeNewsMicrobeads : A massive issue! The countdown to the bead ban begins! Microbeads : A massive issue! The countdown to the bead ban begins! What’s the problem with Microbeads? 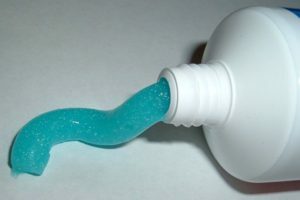 Microbeads often get discharged into waterways as most Wastewater treatment plants are not designed to filter them out. These microbeads are found in bays, gulfs and seas across the globe, as well as inland waterways. One microbead can be up 100000x more toxic than the water in which it is found! This is due to the fact that they absorb organic pollutants such as pesticides, flame retardants, motor oil, industrial chemicals etc. These beads of plastic are then finding their way into the food chain as Fish species that are harvested for our consumption absorb or eat the micro-plastic particles – allowing the absorbed toxins to be absorbed into the fish tissue. A ban on manufacturing cosmetics and personal care products containing plastic microbeads came into force on January 1st 2018 in England. A ban on the sale of these products will begin on June 30th. Carbon Action – part of Chris Mee Group are a leading provider of environmental related Carbon Training & Climate Change Consultancy services in UK, Ireland & abroad. Our clients range from large multinationals to SMEs. If you have any questions regarding Microbeads please do not hesitate to contact one of our experienced Consultants by filling in the enquiry form on this page.